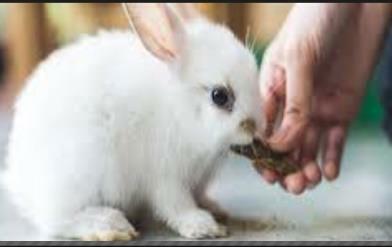 Rabbits are prey animals and are nervous in nature. In order to protect themselves, they are territorial and do not trust easily. Most rabbits will perceive humans as a predator and will resist being ‘captured’. 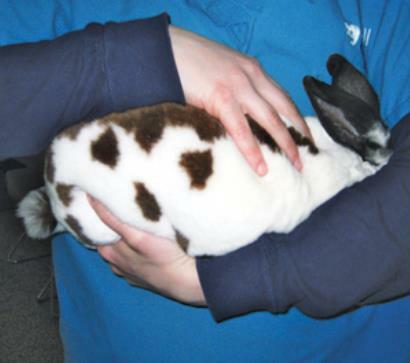 Especially so if you adopted a neglected or abused rabbit that may not be well handled from young. Mishandling can lead to physical injuries such as limb fractures or even spinal damage. 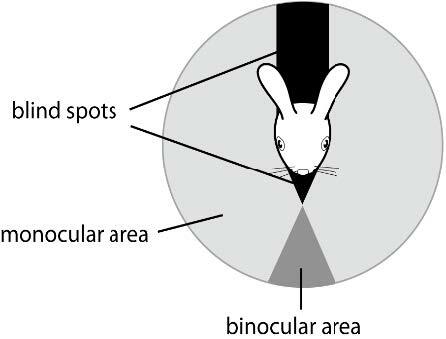 Rabbits have ‘blind spots’ in the front and the back of their head. Approach from the sides (monocular) or further front (binocular) so they do not get startled. Rabbits can hear very well due to their big ears so maintaining a quiet environment is important to keep them calm. 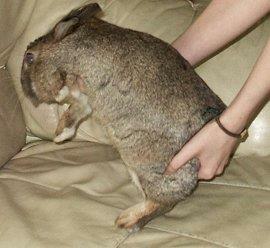 Interact with a rabbit close to the ground and let them gain comfort being near you before you attempt to touch them. If your rabbit approaches you, use a treat to positively reinforce the behaviour. Repeat and gradually touch his head and his body. 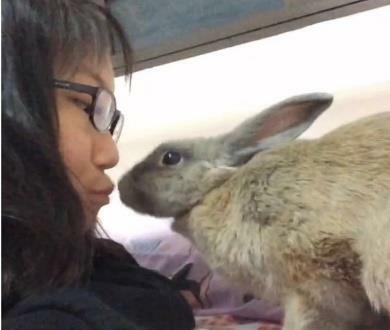 Your rabbit will eventually accept your attention. Start picking up a rabbit when you are close to the ground level to prevent them from dropping from heights. Once they are off the ground, clasp their hind legs firmly and hold them against your body. If the rabbit is nervous, gently cover their eyes without blocking their nostrils. Start picking up a rabbit when you are close to the ground level to prevent them from dropping from heights. Once they are off the ground, clasp their hind legs firmly and hold them against your body. 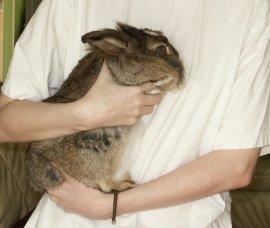 If the rabbit is nervous, you can gently tuck the rabbit’s face under your arms without blocking their nostrils. 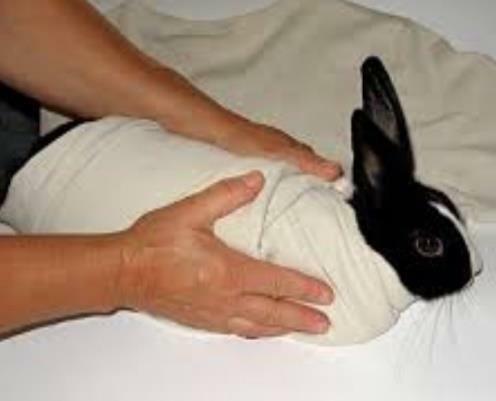 If the rabbit is very difficult to carry but you need to feed medication etc., you can ‘burrito’ him using a towel or tshirt. 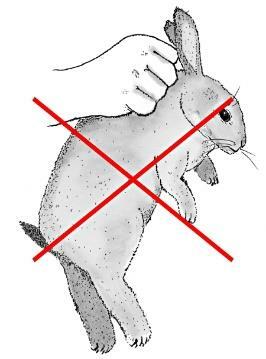 NEVER pick up a rabbit by their scruff or ears. 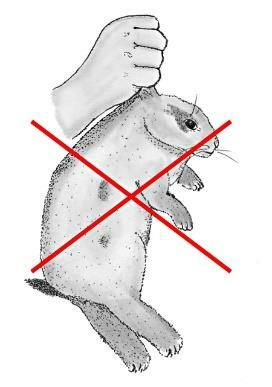 With poor bottoms support, the rabbit may kick and result in detrimental injuries to the limbs and spine.